This blog first appeared on The Journey, by yesHEis. Like CV Outreach, yesHEis is a CV Initiative that was created to reach people with the Gospel. yesHEis is an app that helps Christians share their faith with friends who don't know Jesus through relatable videos about God and faith. Download the FREE app and start sharing! No one likes awkward conversations. Especially on a plane. Planes have a special way of defining what kind of person you are. I’m cheap, so I usually catch early-morning flights. 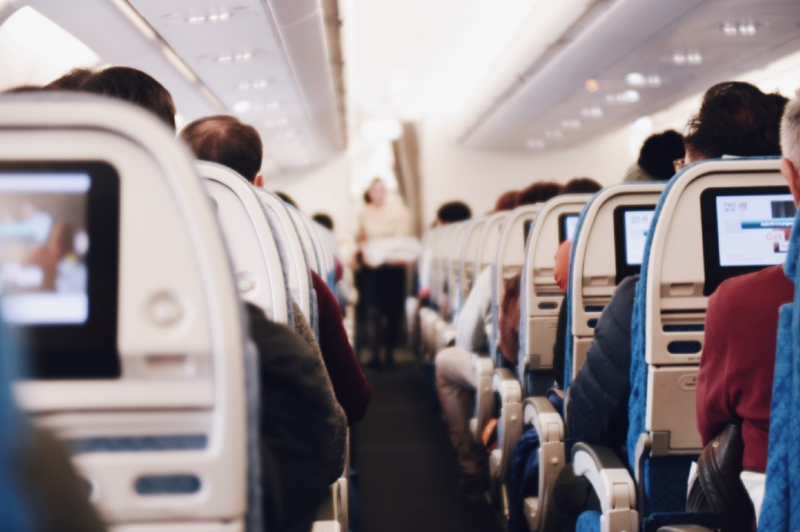 On early flights, people are usually happy to stay under the radar, read a book, quietly sip a coffee while staring out the window, or just solidly gaze into the back of their eyelids with their mouth open while heavy breathing. Recently I took an early flight with my mate Dan. He quickly locked into the last option. I’d just downloaded Bob Goff’s latest book ‘Everybody Always’ to my Kindle, so I opened that and nestled in for a quiet ‘Option 2’. Bob’s book is all about loving everybody, always — and this particular chapter was talking about loving our neighbours and encouraging them on the journey of faith. Not just our literal next-door neighbours, but that we actually find neighbours everywhere. In our workplace, our cafes, yoga-classes and, you guessed it, next to us on planes. I thought to myself — “Well, if God’s plan is to use me, then I’m going to put it back on Him to get me in/out of this scenario.” So, that’s what I did. Then I put my book away and just sat there waiting. 5 mins later he gets a coffee, puts his book down and says, “So, what do you do for a biscuit?” …Ha! It turned out he wasn’t ex-CIA, he was an awesome guy; a retired teacher. He was visiting his son (who was moving to my city— another potential neighbour!) and he was super happy and open to chat. As we talked I couldn’t quite see how I was going to steer the conversation “spiritually,” so I just decided to enjoy the conversation and look for an opportunity. The plane was coming down to land, and that opportunity hadn’t come yet. I didn’t want to awkwardly bring ‘it’ up out of nowhere so, instead I casually pointed out that it was raining outside. My neighbour, let’s call him ‘old mate’, replied with this — “Isn’t it funny, you can water your garden with the hose as much as you like, but if the same amount of rain falls on it, it just seems to flourish.” There it was! My opportunity! So, I took it! I simply opened my mouth and shared what I thought about rain from a spiritual perspective. “Well, from my perspective, that’s God. If God created the world, why wouldn’t the rain that he created be the thing that makes it flourish in the best way.” I said. The conversation went on. It wasn’t awkward. I didn’t Bible bash him. I didn’t lead him in the ‘sinners prayer’. I simply opened my mouth and shared my thoughts and asked what his were. I am a fairly normal guy. I don’t consider myself an evangelist and turning conversations towards God isn’t something I do every day (yet). But, it definitely was exciting to see God throw me an opportunity and it was fun to step up and take it. I took up Jesus’ invitation to join Him in the great co-mission, of restoring humanity to Him. I invited the Holy Spirit to guide me and then obeyed His promptings. I have no idea what ‘old mate’ is thinking now about our conversation. I’m just praying that the conversation we had was a seed that would grow in some way.